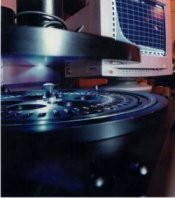 The Archaeometry department of the Cultural and Educational Technology Institute was founded in 1999 with the objective to function as a technology and research center. With its scientific personnel, specialized facilities and instrumentation it aims at the advancement of scientific research in the field of Archaeometry, and attempts to fulfill the needs of the interested parties in the particular area. Using the most recent physico-chemical methods, extracts a variety of information from archaeological artifacts, monuments, works of art and materials, resulting to a fuller knowledge and indepth understanding for the advancement of Civilization. The Laboratory, in its present phase of operation, gives special attention to the dating of ceramics, asbestites, and silicon (quartz) materials, using TL and OSL methods; authentication of museum and collection ceramic artifacts, using radiometric techniques and comparative composition analysis; and the investigation of the composition of color materials. In parallel, the Laboratory, aims to educate and train young scientists from various disciplines through seminars, workshops and inter-disciplinarian lectures on Archaeological and Archaeometric topics. The Laboratory has a substantial scientific and technical state-of-the-art infrastructure and it is technologically supported by the other sectors of the Cultural and Educational Technology Institute. Its capabilities are greatly enhanced through its close co-operation with relevant laboratories of the Democritus University of Thrace and the Aristotle University of Thessaloniki. Among the available laboratory facilities are: a fully equipped Thermoluminescence (TL) and Optically Stimulated Luminescence laboratory with state-of-the-art measuring systems, an autonomous, closed x-ray radiography system and a portable x-ray fluorescence (XRF) system, a stereoscope equipped with the necessary hardware and software for digital imaging, image analysis and surface analysis, a fully equipped laboratory for sample preparation and pre-processing involving new-technology laboratory ovens, furnaces and microwave sample digestion systems. The Laboratory has the capability to provide specialized services (dating, stoichiometric chemical analyses, radiographic and multi-spectral object imaging, in-situ stoichiometric analyses with radiometric methods, etc) to the scientific community and various production sectors of the Economy, both Greek and international (universities, technology institutes, archaeological agencies, local authorities, enterprises, industry, individuals etc). All laboratory procedures follow the GLP and ISO protocols in order to assure high quality services and absolutely reliable results. In order to achieve its purpose, take full advantage of its capabilities and maximize the quality of the provided services, the Laboratory promotes and sustains collaborations with the interested parties and similar research centers and university departments interested in cognate fields, both in Greece and worldwide. 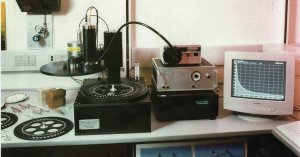 The main ambition of the Laboratory is its recognition as a specialized national technological center supporting the archaeological research, and its evolution to an internationally distinguished Archaeometry Laboratory renowned for the validity and reliability of its work and results.